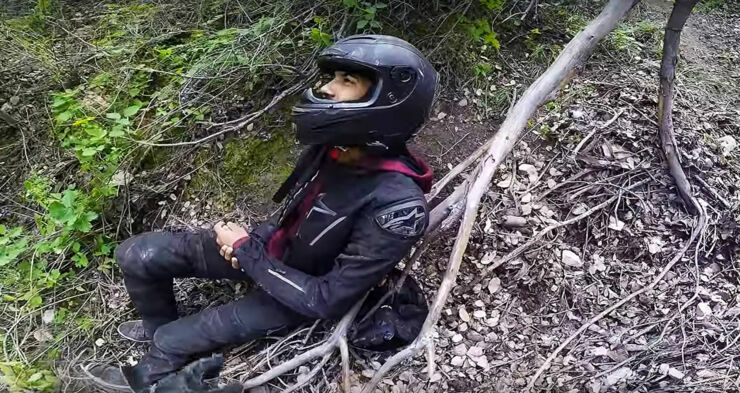 Surviving a motorcycle accident can be fortunate at the best of times, but this rider somehow managed to survive falling down a cliff too. In this heart-stopping motorcycle crash footage captured on another guy's headcam the rider can be seen losing control after missing a turn, and veering onto a bank at the side of the road. Which in turn causes him to miss a preventative barrier, topple over the side, and down a steep incline. The guy who recorded and uploaded the video of the motorcycle accident is David Park (YouTuber KoraMK2) and you can hear his cries of disbelief proclaiming "Oh sh*t! Oh sh*t!" as he watches events unfold. The rider involved in the motorcycle accident is called Willie and unfortunately for him, on the other side of the verge was a steep drop and cliff face. "My back tire like slipped, and it made me slide forward and then I couldn't control the bike so it went forward." he says later about what happened. David Park finds the rider (Willie) after the motorcycle accident at the bottom of a cliff in a tree. 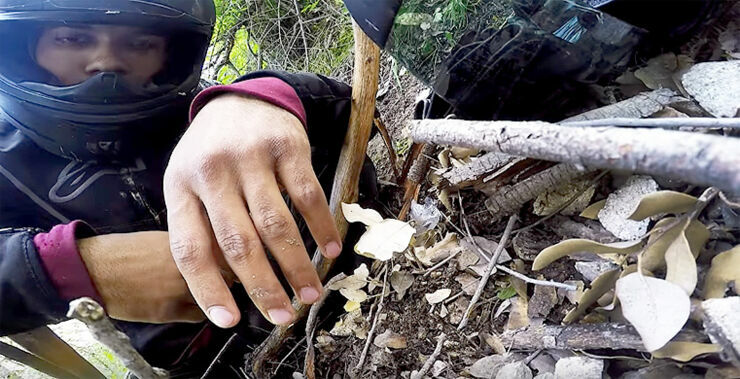 Park heads down the mountainside to go check on his buddy and finds him lying on the ground. He mentions his left arm hurts a lot and Park notes it may be broken. 911 is called and emergency services come to rescue Willie who is eventually airlifted to hospital. The emergency services call him a "lucky man" because his injuries could have been a lot worse, considering the dramatic nature of the motorcycle crash. "This motorcycle accident is one of the craziest things I've ever seen." Park writes on YouTube. "Also the rider is one of the luckiest guy in the world to be able to walk away from this with just a fractured shoulder. I'm not sure exactly how he lost control of the bike but the bike got stuck in the tree. Bike still runs after being caught by the tree. Not everyone gets as lucky as this. This should be a reminder to all of the dangers of riding in the canyons. If you have the need for speed, ride within your comfortable limits and always ride with a friend." Motorcycle crash victim, Willie just before he is airlifted to hospital.